The SecuGen WebAPI was designed to allow developers to easily add fingerprint functionality to their browser-based applications to help increase security and convenience for their users. This website provides simple demos that you use with your SecuGen fingerprint reader to perform Fingerprint Scanning, Fingerprint Matching, and Fingerprint Enrollment functions through your web browser. 1. You should have a Windows operating system (Windows 7 or later) running on your PC. 2. 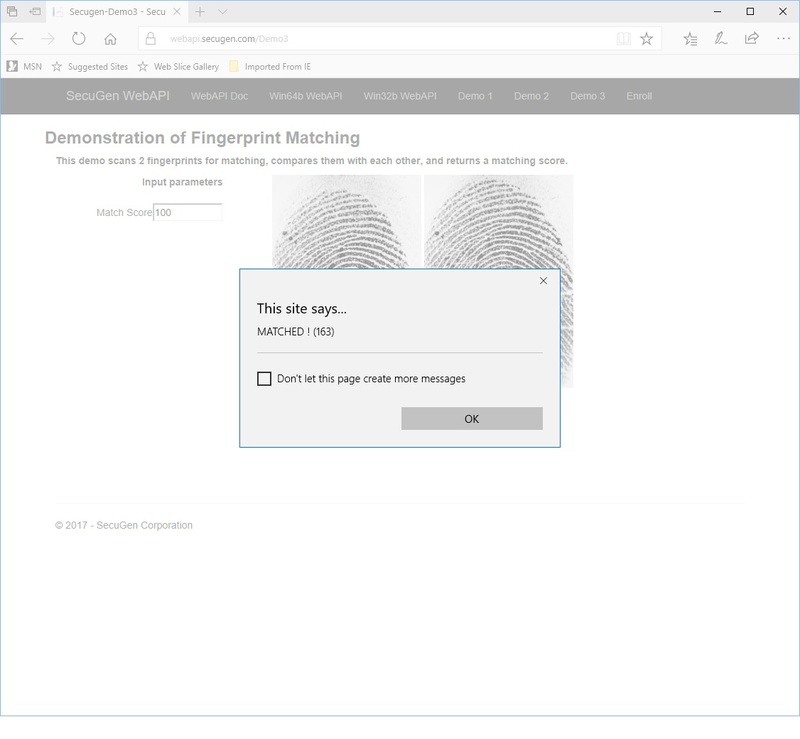 Connect a SecuGen fingerprint reader to your PC, and install the driver (you must have admin privileges).